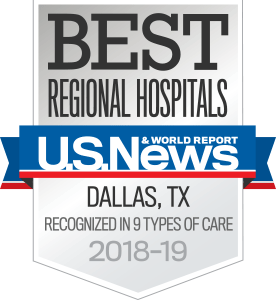 UT Southwestern Medical Center has one of the nation’s leading epilepsy clinics, offering comprehensive care for adults, adolescents, and children. Our team includes neurologists and neurosurgeons, neuroradiologists, neurophysiologists, research nurses, diagnostic technologists, and social workers. These specialists provide a thorough evaluation to determine the most effective epilepsy treatments. Our specialists are affiliated with Level 4 Epilepsy Centers (through Parkland Health and Children's Health). This is the highest designation possible, with recognition through the National Association of Epilepsy Centers. Our epilepsy physicians and researchers are leaders in epilepsy drug research, electroencephalography (EEG) evaluation, brain mapping methods, and operative EEG techniques. They participate in weekly conferences on clinical neurophysiology topics that review the latest research and findings on the treatment of epilepsy. Our physicians are also highly skilled in brain imaging, monitoring, and other advanced medical techniques to localize, and in some cases surgically remove, the focus of your seizures.